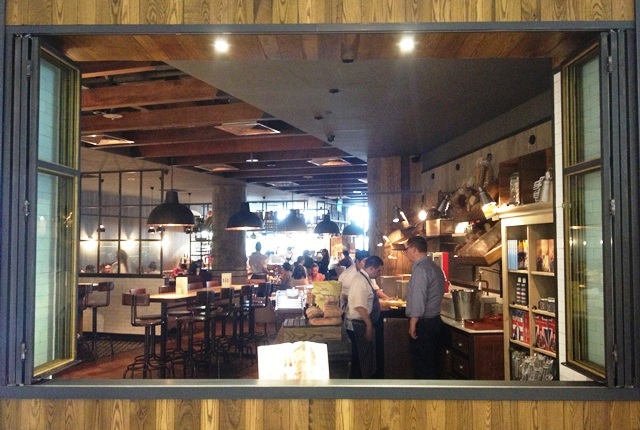 [SG] Jamie's Italian Singapore - A first here and in Asia! 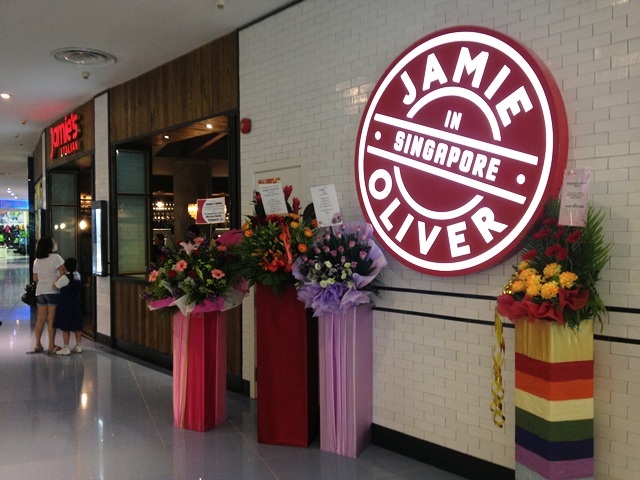 Jamie's Italian opened its doors for business in Singapore earlier today at 11.30am and what made it especially remarkable was the fact that it is a milestone first in Asia. 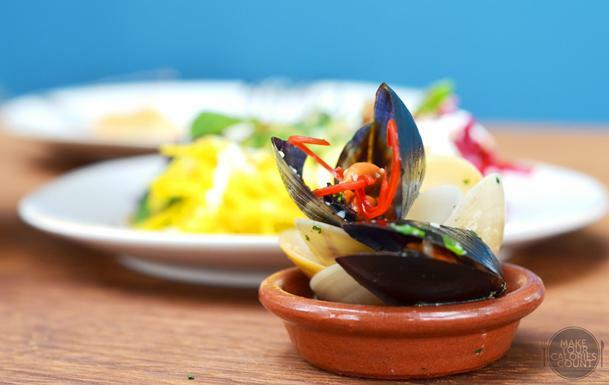 With more than 30 restaurants worldwide, this Italian-cuisine focused restaurant was founded in Oxford 4 years ago. 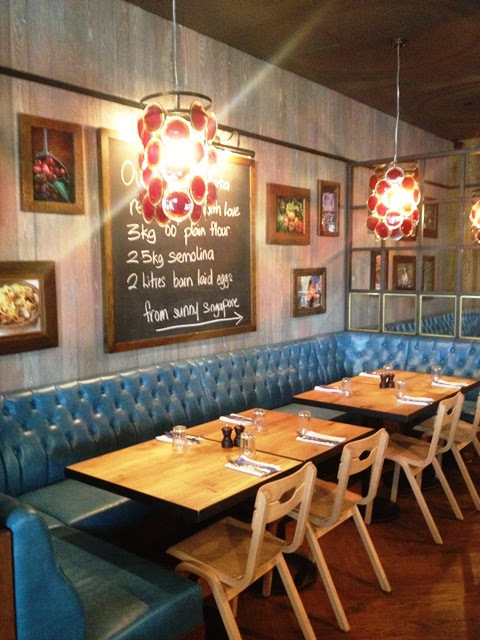 The birth of Jamie's Italian was an inspiration by celebrity chef, Jamie Oliver and his trusted friend and mentor, Gennaro Contaldo. Their paths first crossed in the kitchen of London's Neal Street restaurant in the 90s and following an extensive period of time touring Italy, Jamie wanted to share his knowledge of the Italian cuisine with the rest of the world. 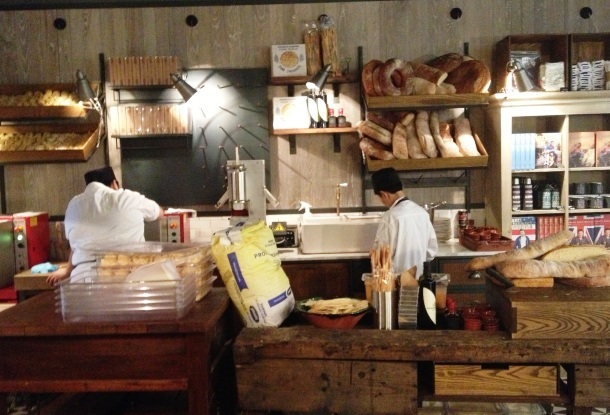 Self declaring that he 'should have been Italian', this restaurant aimed to reflect the passionate, humble and sociable attitude of Italians towards food. There was no better way to deliver than in the traditional Jamie's style through fresh, locally sourced ingredients, bold and simple flavours in a relaxed setting. Having lived in the UK for an extensive period, I pretty much picked up my culinary skills watching Channel 4, which frequently broadcasted Jamie's television shows such as his 30-Minute Meals and Jamie's Great Britain. One of the most memorable series was Jamie Oliver's Food Revolution which was a campaign in the States to improve residents' eating habits. 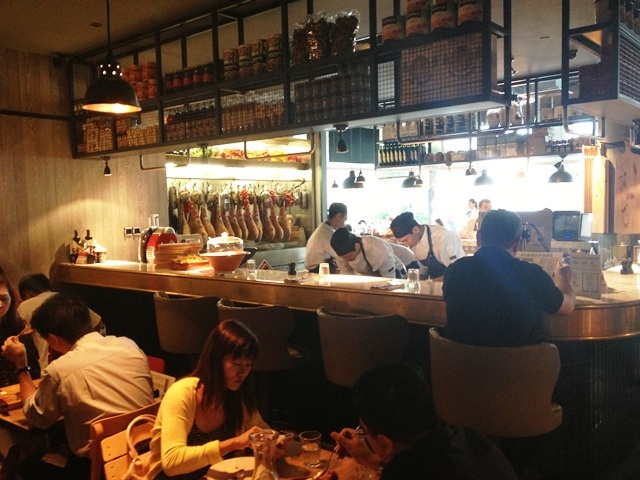 When we learnt that Jamie's Italian was opening in Singapore, it was almost a dream come true! It was one of our favourite restaurants when we were in UK and now that it is here, it is surely a MUST-TRY. Can it live up to its name now that it is going international? Let us check it out! 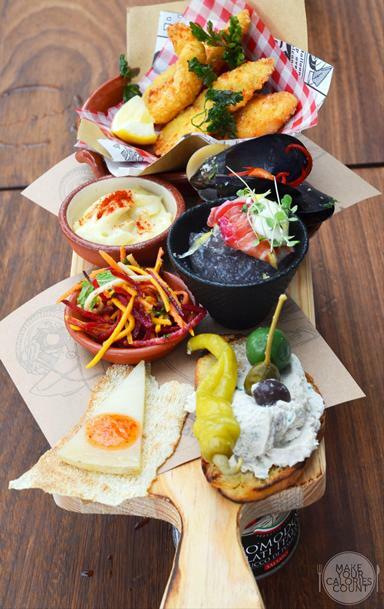 It was done truly Jamie's style - antipasti on planks! The serving in the picture was for 1 person and there were two other planks to choose from, meat and vegetables at S$15.50++ and S$13.50++ respectively. The portion size for 1 person was more than enough to share among two persons if you were simply after tasting. I recommend having the beetroot-cured salmon first as it was served in a bowl with ice underneath to preserve freshness. It was served raw, sashimi style and had a slightly creamy after-taste which I thought was a brilliant combination. 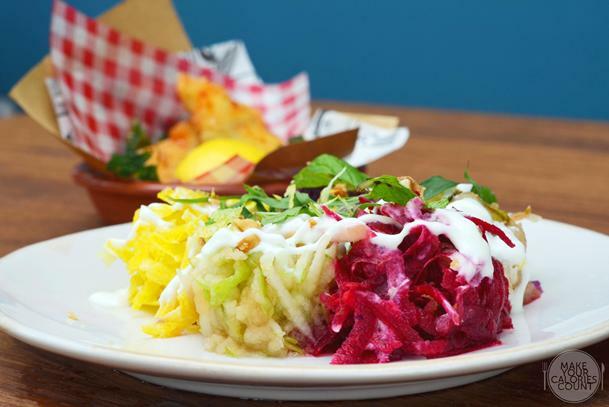 The crunchy salad was also a favourite of mine with consistently shaved root vegetables such as beetroot and carrots evenly tossed in chilli, lemon and mint. It gave a refreshing burst of flavours with the heat from chilli yet pleasantly soothed by the fresh mint and further augmented by the crunchiness of the raw vegetables. 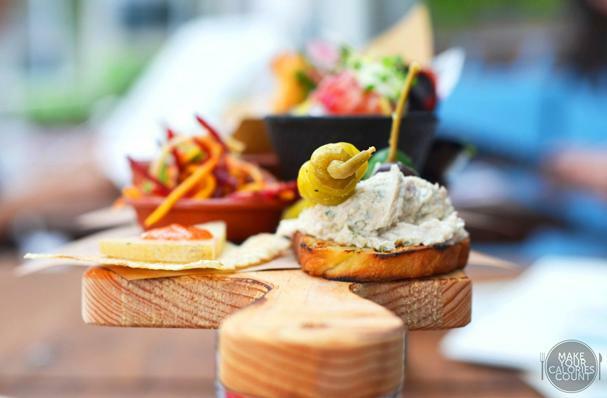 Fans of olives and pickles would be swooned by the quality choice of ingredients, which served as toppings to the smoked mackerel pate. The pate was surprisingly fresh with no fishy smell to appal and it was considerably smooth and soft which complemented the crisp toast harmoniously in terms of texture. Moving on to the Italian cheeses, aged pecorino cheese was served. It belonged to a family of hard Italian cheeses made from ewe's (female sheep) milk. It was very strong and bold in flavour so while it might appeal to those who love the strong taste of cheese made from sheep, the faint-hearted foodies like myself should stay on the sidelines. It was nicely complemented with a sweet chilli jam that gave an interesting twist to that strong creamy cheese. It was served with a crisp 'music bread', which is a thin and crisp flat bread made of durum wheat, flour, salt and water. This yeast free version is called di musica in Italian which meant sheet music. It was rolled to paper-thin, to the extent that a sheet of music could be read through it! 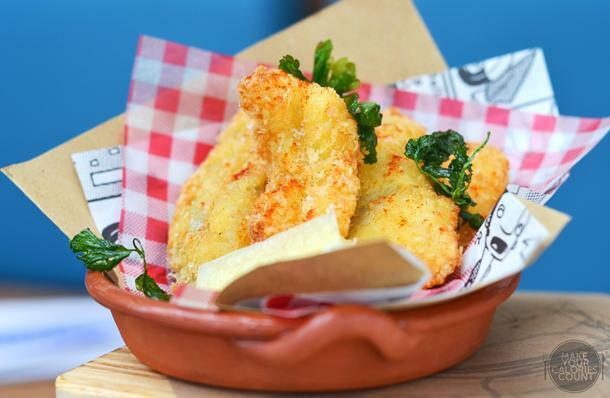 Still on that plank of antipasti, this cured & crispy fish tasted really fresh with a crisp batter deep-fried to a beautiful looking golden brown yet not tasting excessively greasy. It tasted clean and crisp though the protein was slightly overcooked tasting just a little stiff. It however managed to retain moisture to keep it delectable and the yuzu mayo was a nice touch. It reminded me somewhat of a classic fish & chips that I would enjoy on a windy afternoon by the sea. The parsley leaves were deep-fried to add an extra layer of crunchy texture to the antipasti. The mayo was light and fluffy in the sense that it was not too overwhelming in richness but I struggled to taste any elements of yuzu in it. The fritto misto (savoury deep-fried food) had a drizzle of a mildly spicy powder, possibly paprika powder which gave a hint of heat. The roasted shellfish and mussels were also joyful appetizers with the freshness packed in each and every though I felt that the seasoning to it was a touch too savoury and salty for my palate. 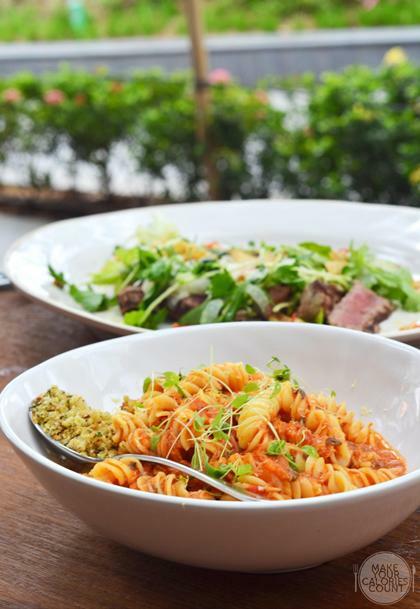 Al fresco dining on a windy afternoon in tropical Singapore was brought to the next level when this side was served. Tastefully decorated and presented with an array of summer colours, this dish won me over in terms of presentation, tastes and flavours. It tasted clean and fresh and would be perfect for ladies and gents alike in need of detoxification. The red (purple) cabbage was finely diced while the radishes, candied beetroots, apples and poached pears were consistently sliced. The flavours were beautiful with an earthy taste from the beets, sweetness from the fruits balanced with plain yoghurt before a tantalizing tang from lemon and mint. 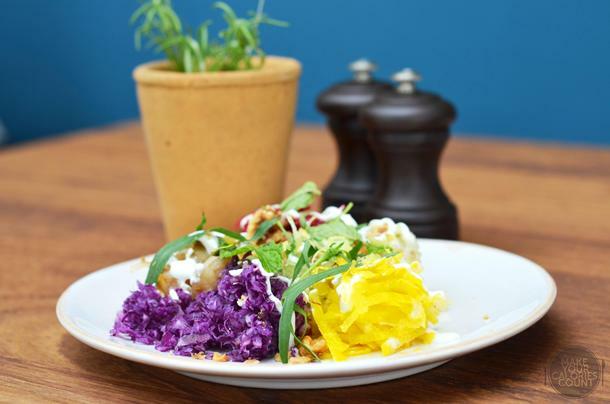 There was honestly quite a lot going on in this simple plate of goodness, especially the crunchy texture from the cabbage and walnuts and a soft marshiness from the fruits. It would have been better if there was a more generous serving of walnuts. Easily one of my top dishes on the menu! The gentleman serving our table was attentive and dedicated in his efforts to explain and recommend the dishes on the menu. While taking our orders, he took extra attention in checking if we wanted our mains to be served together or after the starters. I truly appreciate the attentiveness to minute details and that spelled all the difference in a good dining experience in my humble opinion. 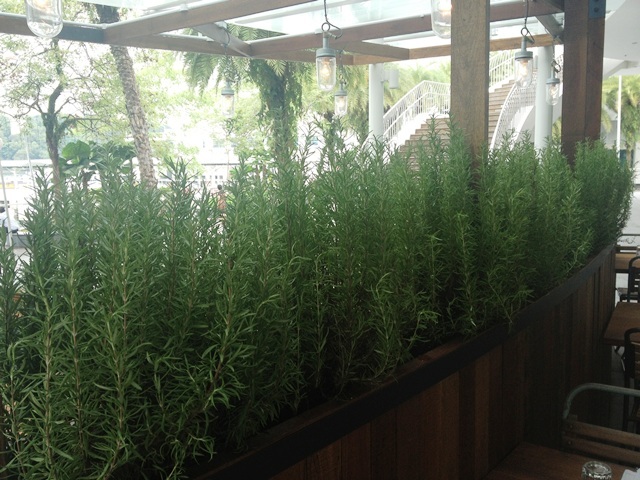 While waiting for the mains to arrive, the server came over to our table to check if we liked our food so far and it was then did I realize that Jamie's Italian used fresh herbs grown on the premises! Fans of Jamie should know that he loves his herbs fresh and he literally plucks rosemary, mint, anything basically from his garden whenever he goes on a show to demonstrate his cooking. Having learnt this and understanding a little more about the restaurant, I could not help but add on his signature drink. It was a refreshing drink for the summer afternoon. 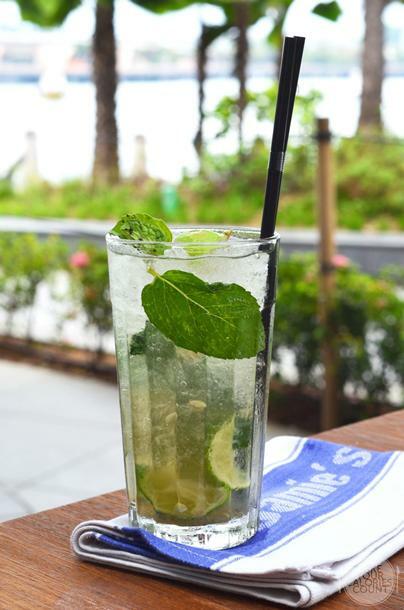 With Bacardi Superior rum, Martini Bianco, fresh mint, lime & sugar, topped with Prosecco, it was a brilliant thirst-quencher. The proportion of each element added into this signature cocktail was spot-on and the taste was consistent. The concoction was not overly strong in terms of alcohol strength and came across as a soothing beverage while we waited for our mains. You know instantly that you are in one of Jamie's restaurants when a main like this gets served before you. It was presented in a uniquely classic Jamie's fashion, clean and crisp with a hint of messiness with the salad tossed around and a generous amount of olive oil drizzled across. 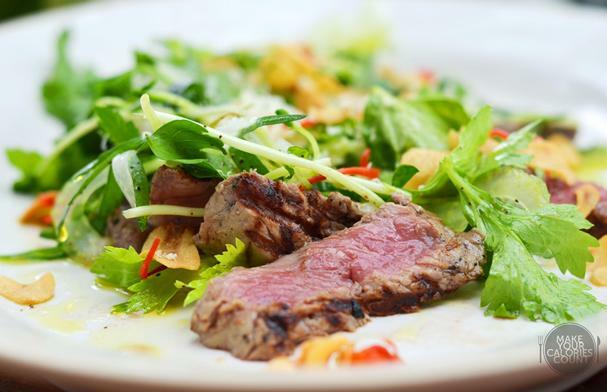 It was a 180g aged grain-fed Angus steak with crunchy fennel, watercress, mint, chilli, garlic, horseradish and lemon. I would highly recommend a big mouthful containing a little of each ingredient to experience that beautiful combination of flavours that would guarantee satisfaction. It was beautifully cooked to perfection and to my request of medium rare. The outer area of the fine beef was elegantly charred with evident grill-lines yet leaving a nice pinkish colour on the inside of that protein. It was succulent and almost melt in your mouth good. 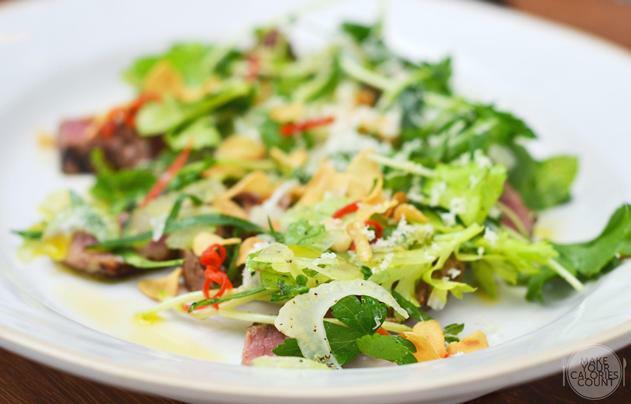 Coupled with the crunchy fennel and watercress, the texture was sublime and there was no shortage of flavours from the refreshing mint and heat from chilli harmoniously infused into the salad. The zesty lemon juices just elevated my dining senses with a tang that left me double thumbs up for this simple yet beautifully cooked dish. 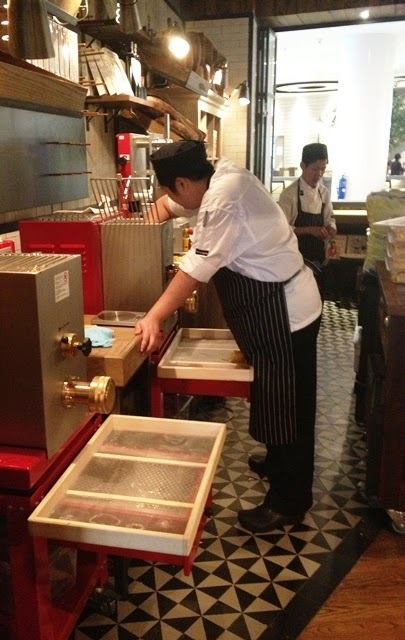 All pasta were made in house and fresh and you could see the chefs at work before you at the front of the restaurant. There was no escaping an Italian meal without a good pasta. Spoilt with the choices on the menu, we left it to the server's recommendation which was a recipe belonging to that of Jamie's wife! It was no surprise that Albacore tuna was used since Jamie had always been an ambassador of sustainable seafood. 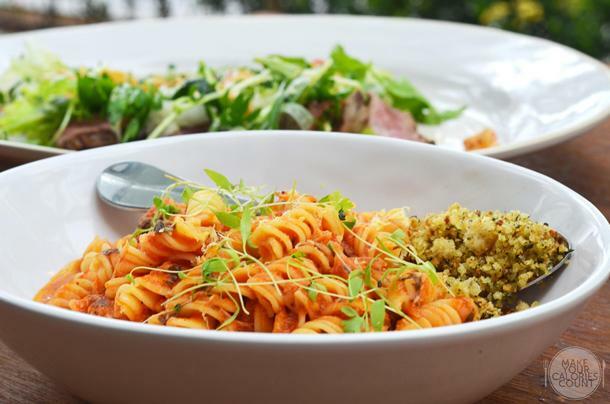 Slow-cooked with tomatoes, garlic, herbs and cinnamon with crunchy, herby breadcrumbs separately portioned with a spoon, this pasta was a winner in terms of flavour and texture. The pasta was cooked al dente so expect it to be chewy and bouncy. The flavours of the tomatoes were beautifully infused and the richness of that simple key ingredient was given justice in this bowl. The breadcrumbs gave an important layer of texture and it seemed like a marriage of flavours between the herbs in it and that bold tomato based sauce. My only concern was that it was a little too greasy for our palate even though olive oil was used. The pasta was offered in 2 sizes with the larger rendition at S$21++ but I thought that the smaller serving size (which we ordered) was largely sufficient to feed even a grown man. We were pretty stuffed full by the time we finished our mains but it felt like an incomplete food journey without some desserts to sum up a sumptuous lunch. 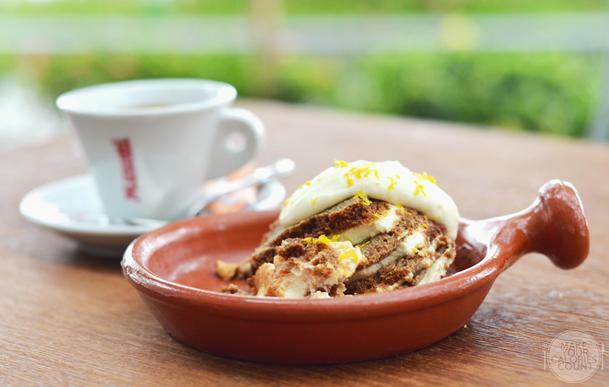 With an extensive desserts menu, each looked equally appetizing but between the two of us, we felt that we could only stomach just one dessert so we went for the signature Tiramisu. Elegantly served in a ceramic flat-pot, we thought that the presentation was lacklustre. In fact, it toppled over and resulted in the top which was usually characterised by the cocoa powder coating to be at the bottom of the dessert instead. 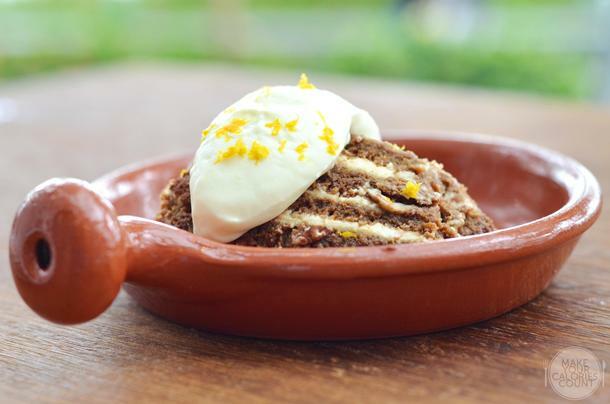 The flavours were however beautifully synchronized with the coffee-flavoured trifle topped with a generous amount of mascarpone drizzled with orange zest. The caffeine in the dessert tasted was well-balanced with the liquor but I felt that it lacked strength and depth in terms of the taste. While the balance was good, it came across as a rather mild rendition. It was actually my first time tasting tiramisu paired with orange mascarpone and it was a rather bold and interesting twist to the otherwise dull dessert. I was informed by the server that this was a recipe belonging to Jamie's mentor, Gennaro and I believe there is no better way to qualify authenticity than an Italian man himself. When it came to texture, the dessert was moist and perhaps too soft though arguably it was melt in your mouth. Personally, I thought that it might be a little too moist for my palate's comfort as slicing through the alternate layers of cheese and ladyfingers left the alcohol and caffeine oozing out. I had a cup of long black to go along with the dessert and it was definitely one of the best cup of coffee I have had. The Italian coffee served was from the award-winning Musetti family, which had been coffee makers for 3 generations! It was strong, bold and the intensity of that dark roast was beyond what words could possibly describe. I understand that this might sound a little far-fetched and exaggerated but if you love your long black coffee, trust me when I say this is a MUST-TRY. I thought that the sofa seats were really good and appropriate for family and friends reunion. 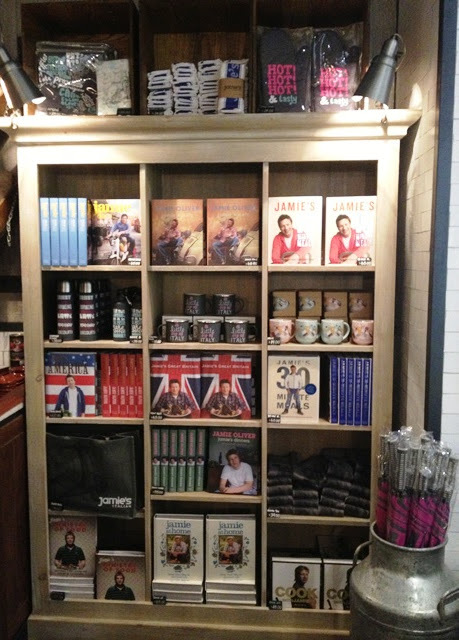 A book shelf of collectibles and Jamie's cookbooks! 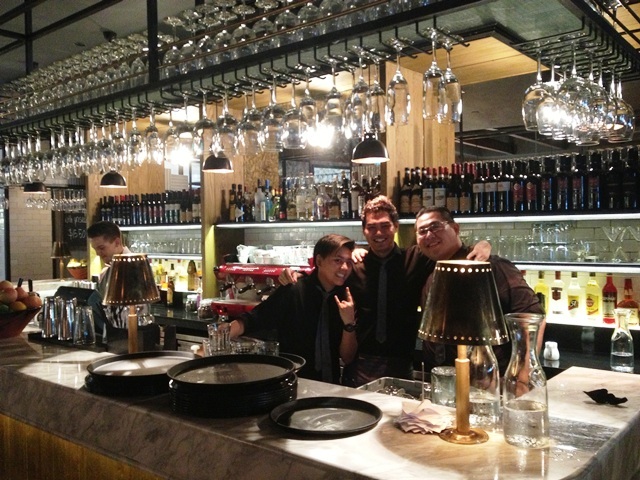 The staffs over at the bar counter were more than happy to pose a shot for the camera! We felt that the customer service was immaculate and it was one of those rare occasions where we felt that they deserved to be tipped in addition to the 10% service charge imposed. The server attending to our table was knowledgeable about the items on the menu and were able to accurately depict what to expect of the dishes which I felt was crucial to new customers especially. While it was stated on Jamie's Italian FB page that online booking is full, we were able to get ourselves a table without much hassle as walk-in customers. 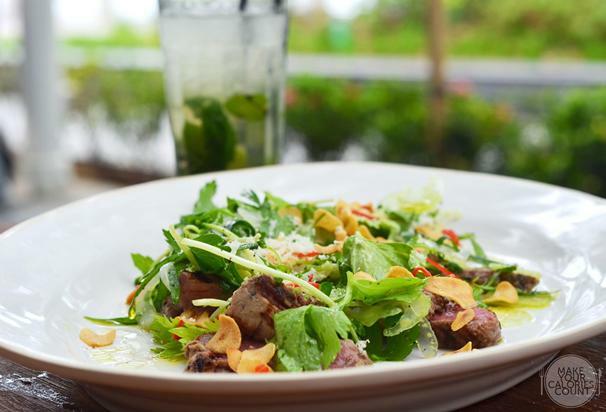 Given the choice of indoor air-conditioning dining or al-fresco, I would highly recommend the latter with a view facing Sentosa Island, you would also get the occasional breeze that sweeps by. 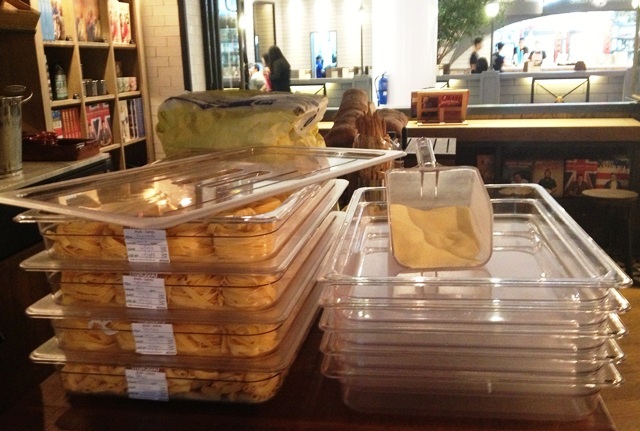 The prices were affordable and proportionate to the quality received in the food served. We left with a memorable dining experience and we would certainly return to try the other signatures on the menu! thanks for the detailed review! Now I know what to expect there, going next week. excited! Hi there, thanks for dropping by! No worries, I was merely sharing my dining experience there which was brilliant to say the least. 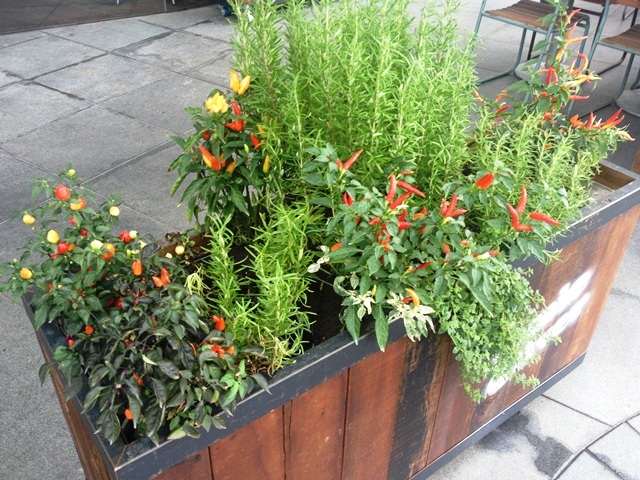 Love the greens especially but I am looking forward to reading your dining experience after your visit! i have visited similar place to that place once, when i was in Mumbai. i found there a different kind of italian food. And i love that.